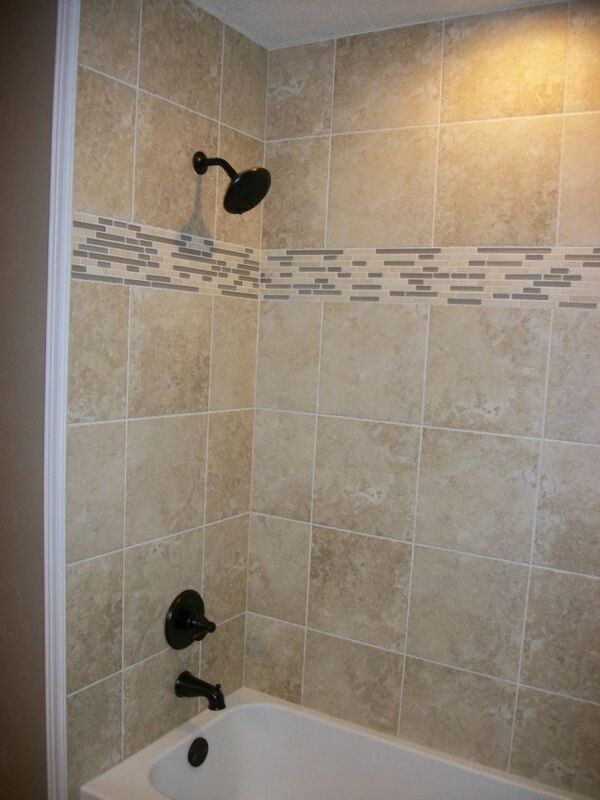 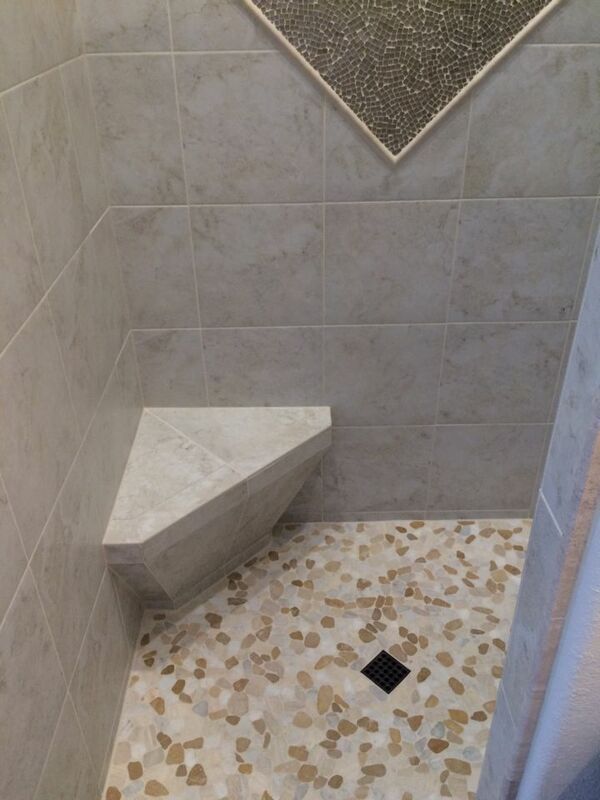 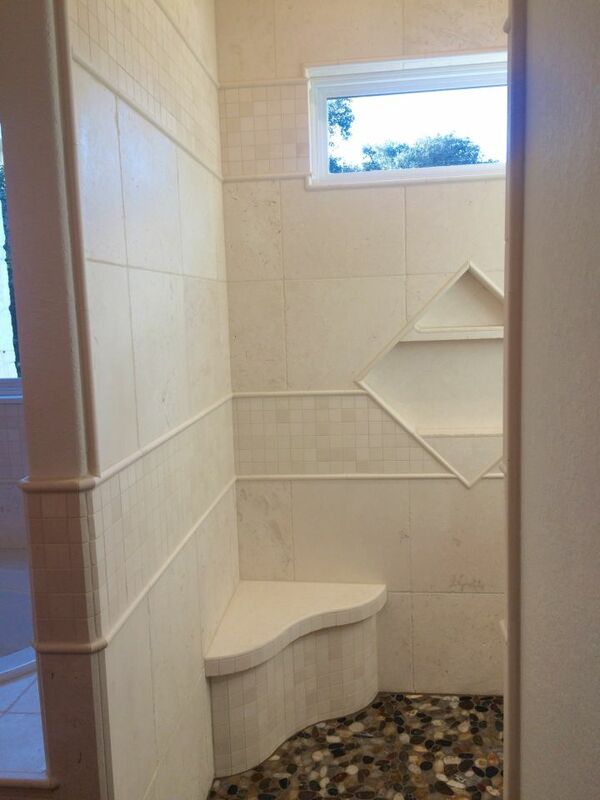 Shower and tub surround with rectangular tile. 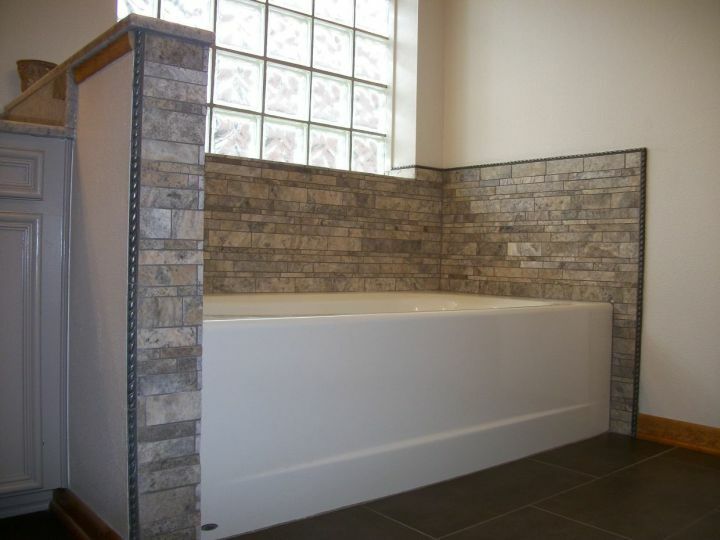 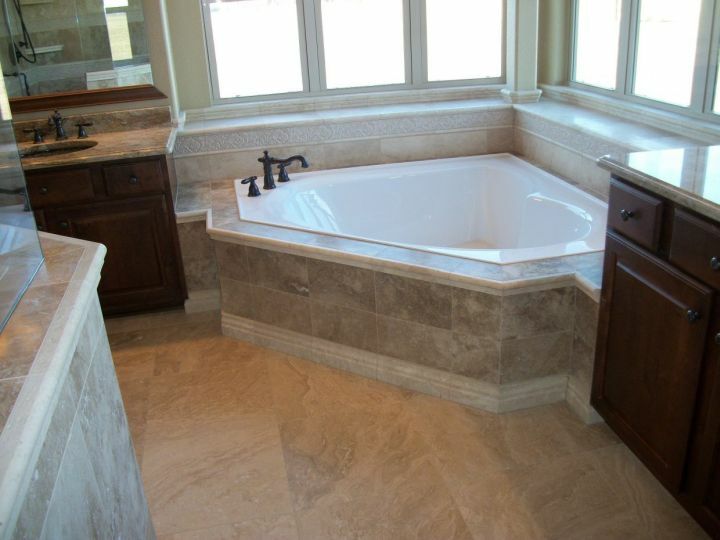 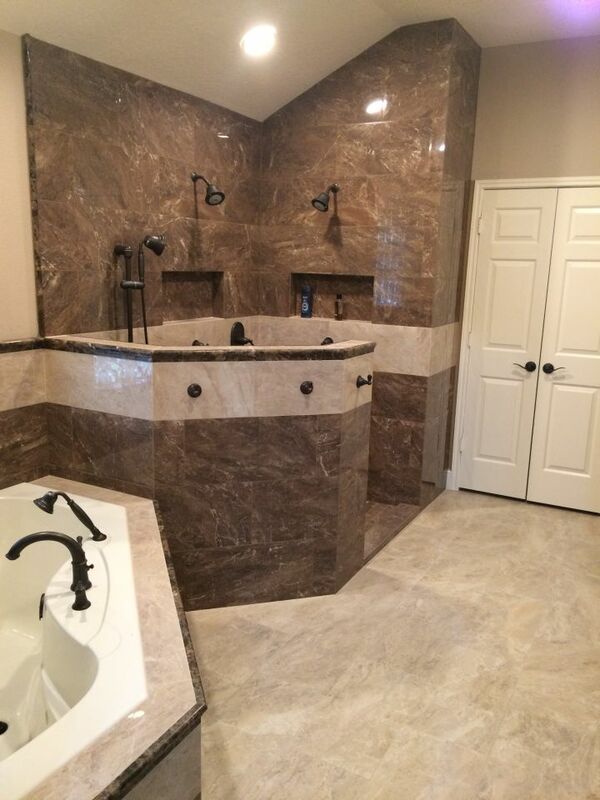 A stone linear accent band traverses the tile at eye level. 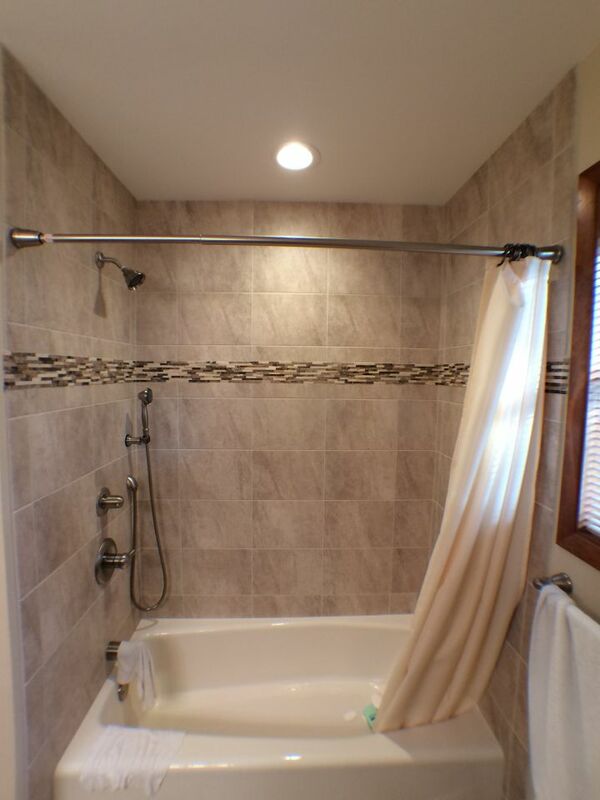 This tub surround features a diverter valve for either regular shower functions or a hand wand shower.